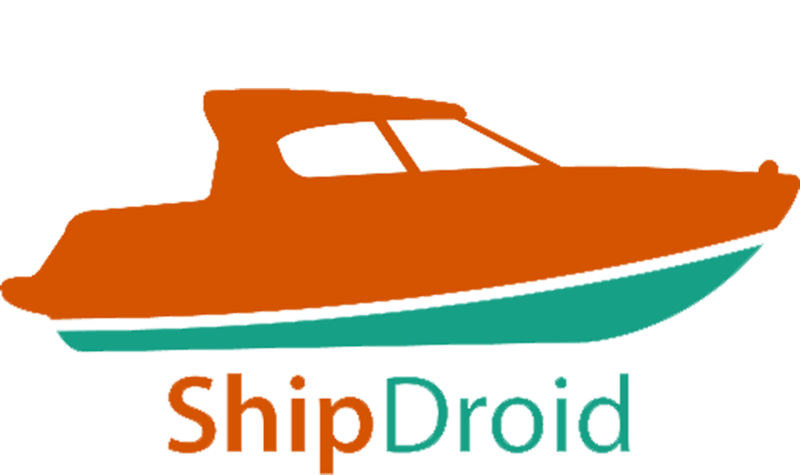 On the Internet there are many articles on the use of RC boat or car with IP or Web-based camera. But most of them used a laptop or an internal router with Open-WRT or DD-WRT firmware. 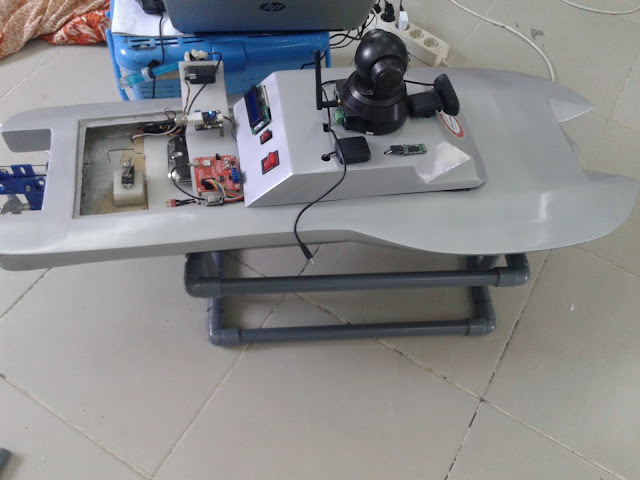 View the video of the RC car or boat in such projects usually implemented with a PC or Laptop. In this article describes the control crawler platform from any Android-device (tablet, smart phone, etc. ), as well as viewing real-time video and rotation control pan/tilt of IP-Camera. 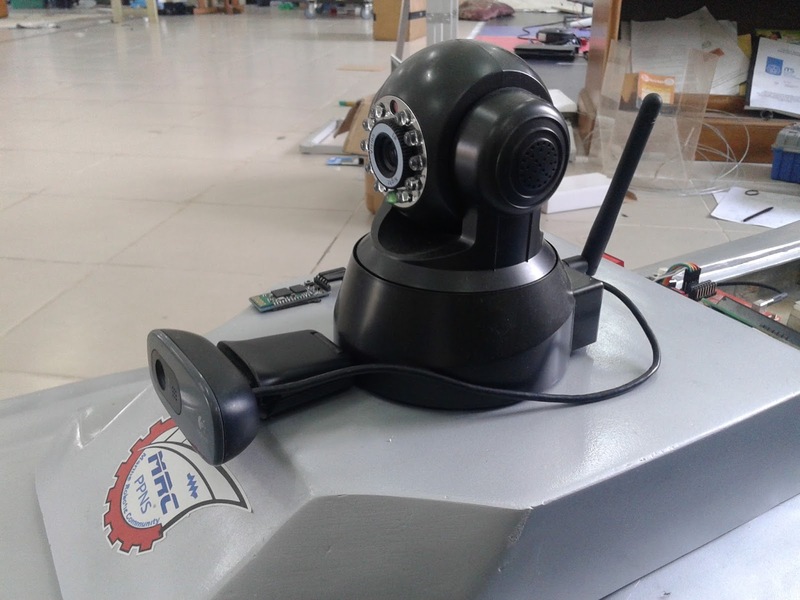 it made Android-applications to work with the Wi-Fi IP camera. The project is built on the Arduino. To control the car using Bluetooth channel. As an IP camera I used the popular model Foscam FI8918 (idr 875.000). As seen in the figure above, the interaction between the smart phone and tracked platform implemented directly on Bluetooth-channel, and the interaction with the camera implemented on Wi-Fi channel, but through the router. And this is a big disadvantage - because without a router, all operations with the camera will not work, for example in the street or anywhere outside the city. I tried to make a direct control via Wi-Fi, turning on Android'e mode Host Wi-Fi. In the future, I will try to make a direct interaction without a router. I have suggestion that this requires a camera with support W-Fi Direct. IP-camera Foscam FI8918 gives a video stream in a format MJPEG (Motion JPEG), in which each frame is compressed using the popular JPEG image compression algorithm. At a resolution of the video stream 320x240, FPS is 25-30. If the video resolution of 640x480, the FPS drops by about 2 times. For Android on the Internet has been found MJPEG class for processing and display of data in activity. 27 - Stop vertical "patrol"
29 - Stop horizontal "patrol"
get_camera_params.cgi - get the current camera settings. The script returns the resolution, brightness, contrast, mode 50/60 Hz mode, flip mode. reboot.cgi - reboot the camera. restore_factory.cgi - restore factory settings. get_params.cgi - information about the camera and the many parameters. set_datetime.cgi - to set the time and date. set_ddns.cgi - set of configuration Dynamic DNS. set_ftp.cgi - setting FTP connection. set_mail.cgi - setting for MAIL. The camera configured to work with a static IP-address. 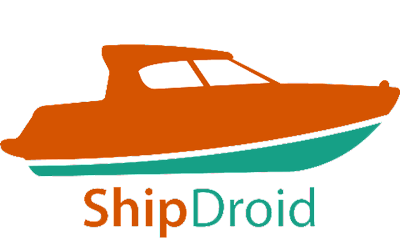 So that it can be accessed from the Android application. Although Foscam support DDNS services, so you can use a dynamic IP. thanks a lot i hope it can solved and helpful for your project.